Riverton is getting a makeover. 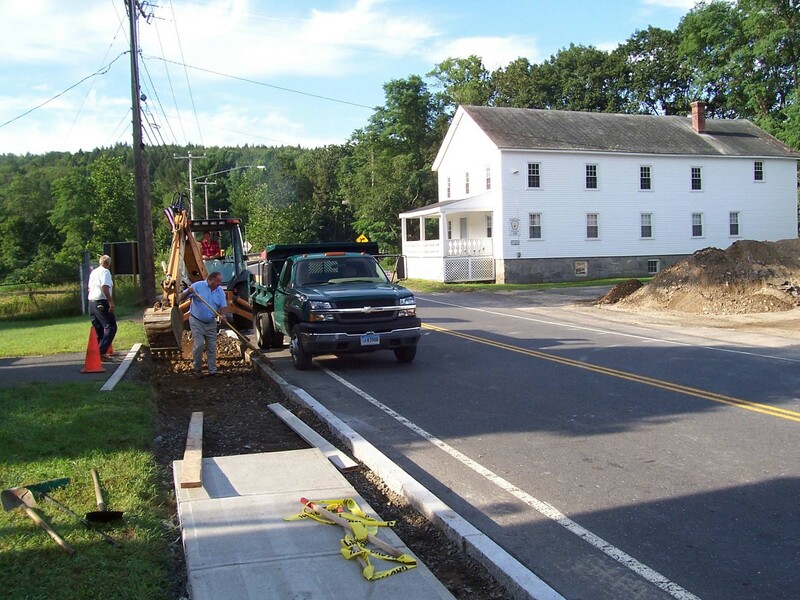 Throughout the spring and summer of 2006, and especially in the month of August, the Riverton section of Barkhamsted has seen lots of construction work relating to the Riverton Streetscape project. 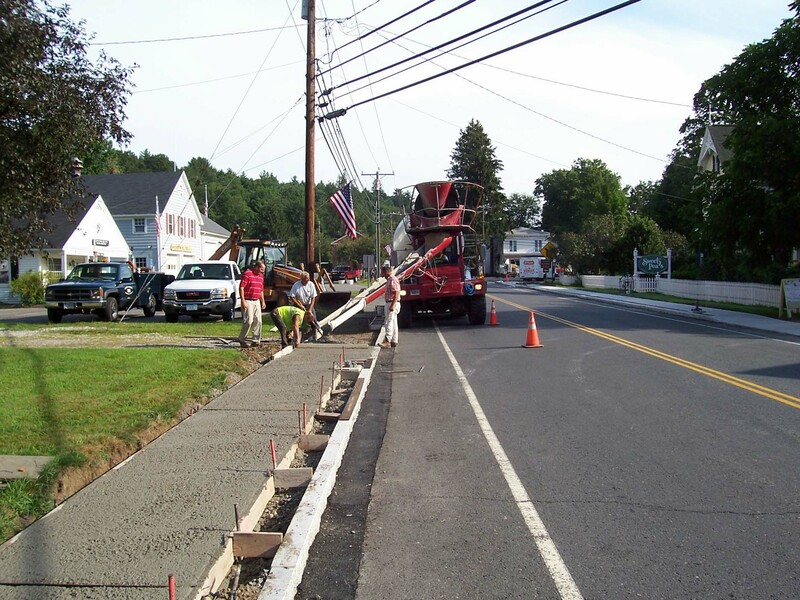 The Streetscape project involves the installation of 3,000 feet of granite curbing, 3,000 feet of sidewalk, the installation of antique replica street lanterns, attractive crosswalks, and the planting of trees and other landscaping work. The project is expected to be substantially completed by September 2006. The hope is that the Streetscape project will give the village of Riverton an economic boost by attracting more visitors- visitors that will hopefully patronize the shops there. The completion of the project will be one piece of good news for Riverton which is still dealing with the loss of the Hitchcock Chair Company and its retail store, which had been almost like an anchor store for the village. The Streetscape work was made possible by a $500,000 grant from the Small Town Economic Assistance Program of the State Department of Economic Community Development. The grant was announced in September 2004 and about a year later the paperwork was pretty much completed and plans were made for the project. Work started in the spring of 2006. 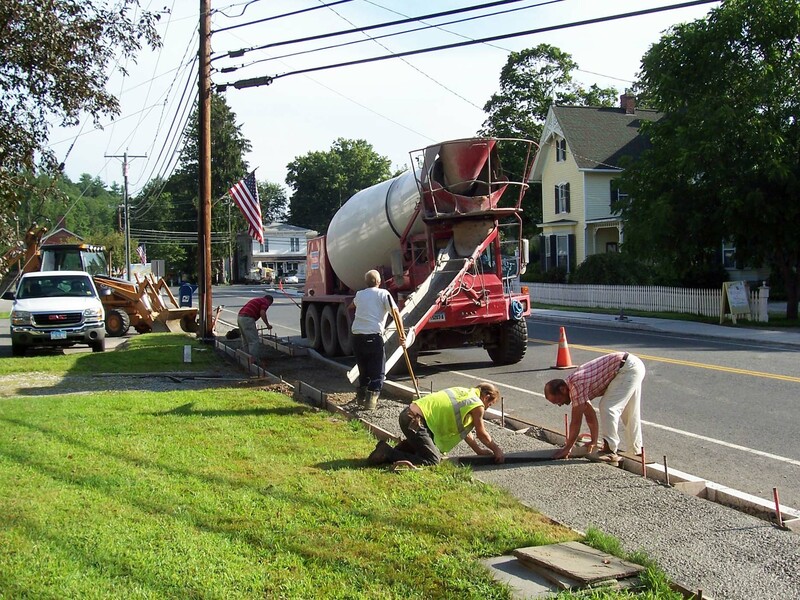 First Selectman Mike Fox and administrative assistant Joan Markure have worked hard to secure the grant, complete the paperwork and attend to the many details involved in the administration of the project. This is not the first time Riverton has seen an improvement project such as this. Rebecca Ransom reported in the Squire's Tavern Quarterly on the "Riverton Village Improvement Society" which operated from 1894 to 1923 and worked various projects to make Riverton a nice place to visit. The photos below show some of the work being done during August 2006. Photo above- Progress on the Riverton Streetscape project- a contractor digs out the area where a driveway will cross the sidewalk nearly opposite the Riverton Grange. The granite curbing shown in the photo had been put in place in May 2006. 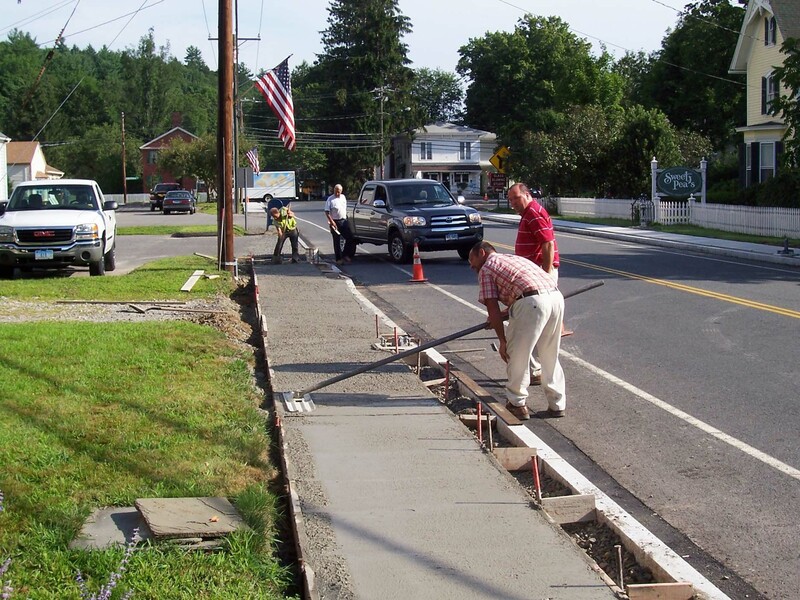 Photo above- Concrete is poured into the sidewalk forms near the Riverton Post Office (first building on the left). 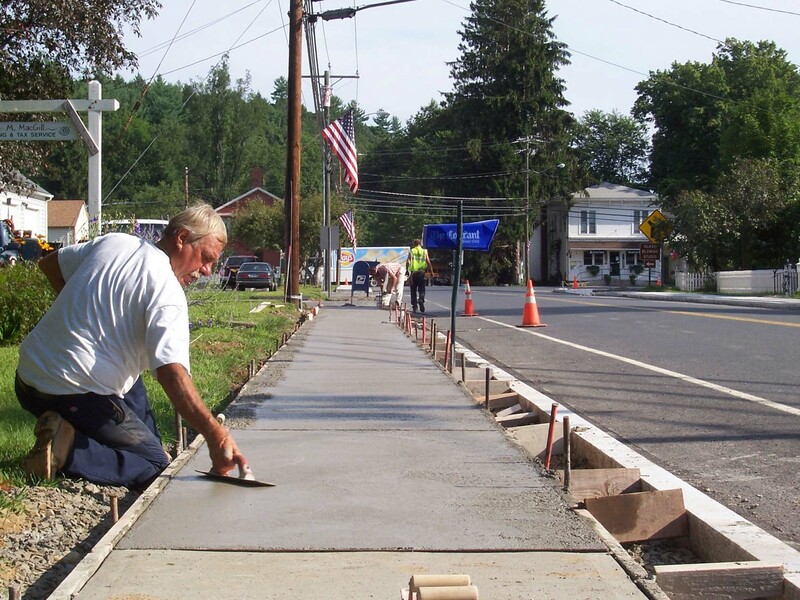 Photo above- Employees of contractor Martin Laviero of Bristol work on the the sidewalk near the Riverton Post Office. Photo above- Workers bull float the newly poured sidewalk to smooth the concrete. Photo above- Finishing off the sidewalk- another section almost done. The space between the sidewalk and the curbing will be filled in with brick.